We work hard to make the process of inspection as much easy as it can be. Please see these guides to receive the answers and to learn how to succeed with GOFORIT. When you open the application for the first time, please chose the “Transporter” mode. This mode will be saved for the future sessions. Fill the “Terms of Transportation” field if you want to add additional terms of cooperation with you. Press “Show on Print Form” if you want to add this Terms to the bill of ladings. Add “Bank Account number” and “Routing number” to be able to receive Bonuses and money from Car Buyers if they’ll buy your inspection. Sign (your sign will be added to the future bills of lading) and press “Register”. If you’ve been pressed the confirmation link before you’ve press “Done” button, you will be forwarded to the Home Page. Enter a VIN number on the Home page to add a new car to your Load and press “GO”. 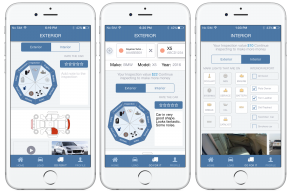 The Inspection page will be opened and a new car will be added to your Load. Enter basic information about the car, like: Make, Model, Year, Mileage, Amount of Keys. Add a new Sender (the company or Person who sending the cars) and fulfill the information about him or chose existing Sender from the list. Enter amount of $ Hauling (Hauling and COD will be on the bill of lading). Add a new Receiver (the company or Person to whom you are delivering this car) and fulfill the information about him or chose existing Receiver from the list. Add main photo: Press “Main Photo” button, press on photo place and use your camera to make a photo. Add additional notes about the car condition (this note will be showed near the inspected car on the bill of lading). 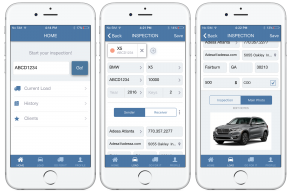 You can add a new car to your Load again from the Home page, or from the Load page, or pressing “+” button on the top on Inspection page. Press the car part that has damage. If the part has sub components chose sub component that has damage, add the size of the damage and add the picture. If there are more damages, simply chose additional types of the damage and add photos. Press Save button and choose other car part to add more damages. The system automatically will paint the schema with the different colors, depends on the size of the damage. Add all damages to the schema. This schema with all the damages will be on the bill of lading. Press “Load” button to review your load, or chose other car on the top of the Inspection Page. After your car was moved to the history, you will be able to review and print all damages with photos that you made. All photos will hold Sender’s address, time and date when the photo was tagged to the damage. The car can have three different statuses: New (Red), Picked Up (Yellow), and Delivered (moved to History). New cars – it’s cars that you just created in your Load. Picked Up – the cars that you already have been inspected and currently you are delivering them. Delivered – means that these cars have been delivered to Receiver. Cars that have been delivered will be moved from Current Load to the History automatically. 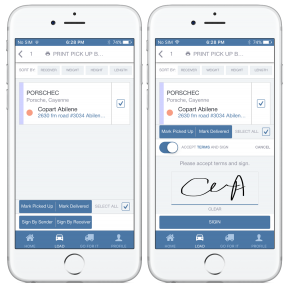 Choose (mark checkbox) the cars that you want your client (Receiver or Sender) to sign. Press “Sign by Sender”. The Sender should accept terms and sign. Then press “Sign”. The car will be marked as Picked Up (Yellow). 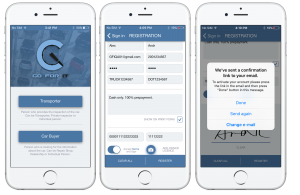 Sender and Transporter will receive PDF file with Transportation Documents. You also can move the cars to Picked Up status by pressing “Mark Picked Up” button (in case the Sender can’t sign). You can print selected cars by pressing “Print” button on the top of the screen. The same for Receiver. Press “Sign by Receiver” or “Mark Delivered” to mark these cars as delivered and move them from Load to History. Fill in different segments with the maximum of information to increase the numbers of potential purchases. Add Photo and Video about the interior and use check-boxes to identify interior condition. Check the dashboard lights to identify what you see on the car’s dashboard. Get back to your load and continue to work with the regular inspection page. 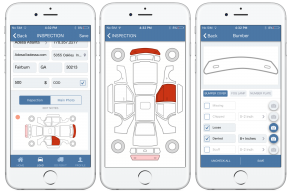 GOFORIT inspection page is needed to provide more detailed and wide report about the car. 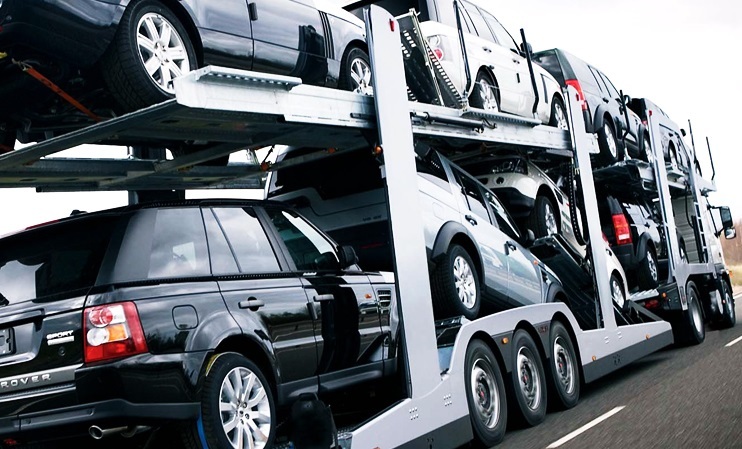 As car transporter, you don’t need to fill the information on this page to proceed with your day-to-day process. The information on this page won’t appear in the bill of lading. However the information on this page is the most valuable and means the most for Car Buyers. The amount of your сommission directly depends on the quality and fullness of your inspection on this page. It’s very easy and strait forward. After you’ve added the information to this page, it will be automatically showed on the market (to potential buyers) as soon as you’ll move the car to Delivered state. Please note, that you won’t be able to add GOFORIT information to specific car if you moved this car to Delivered state. History page is needed to be able to review the details about your previous inspections. Press History button on Home screen. Not Paid/Paid signs show was the COD paid or not. Browse the history to find needed car or use Search option to do so. Press on the car that you want to review. You can press Goforit button on the top right corner to check detailed GOFORIT inspection (if you did it). Press on Inspection Schema to review entered damages. Press on particular photos to check the details: when and where the photo was made (location will be the same as the sender’s address). How can you earn more on the inspection? 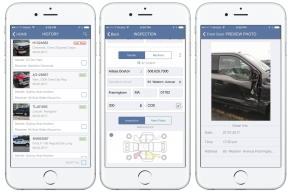 Potentially the car inspections can be bought by the Car Buyers that are looking for additional information about the cars. Each sector of the polygon that you are filling during the inspection can potentially lead to some additional income for Transporters. Please check our HOW TO SAVE AND EARN MONEY page to learn more.